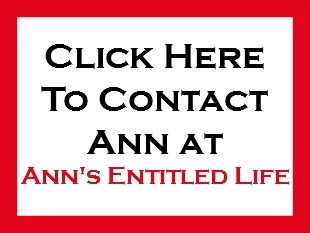 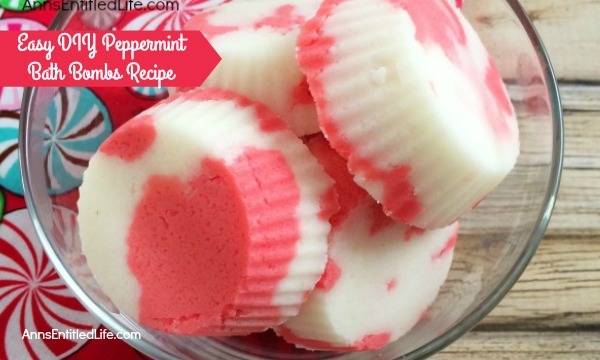 • Add about four drops of red food coloring in one bowl and mix with your hands and fingertips. 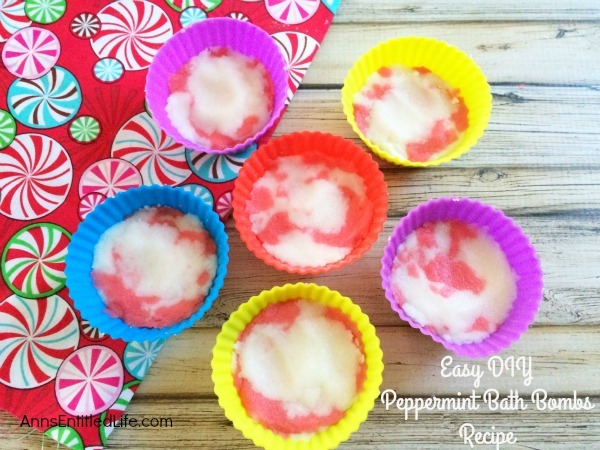 • Add 2 drops of your (therapeutic grade) peppermint essential oil to each bowl and mix with your hands. 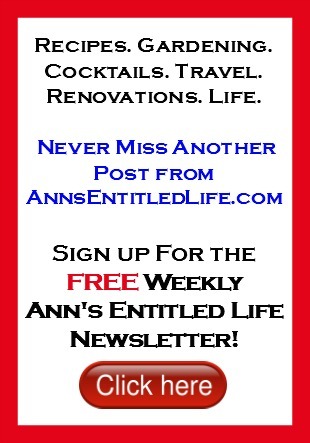 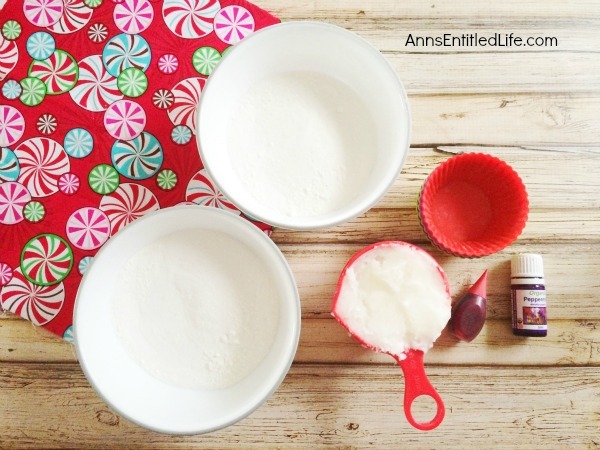 • Add 1/8 of a cup of your melted coconut oil a little at a time to each of your dry mix, mixing with your hands. 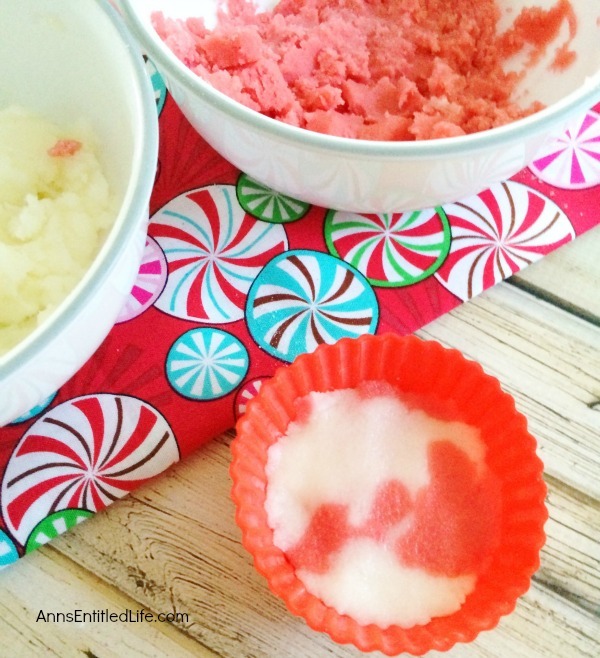 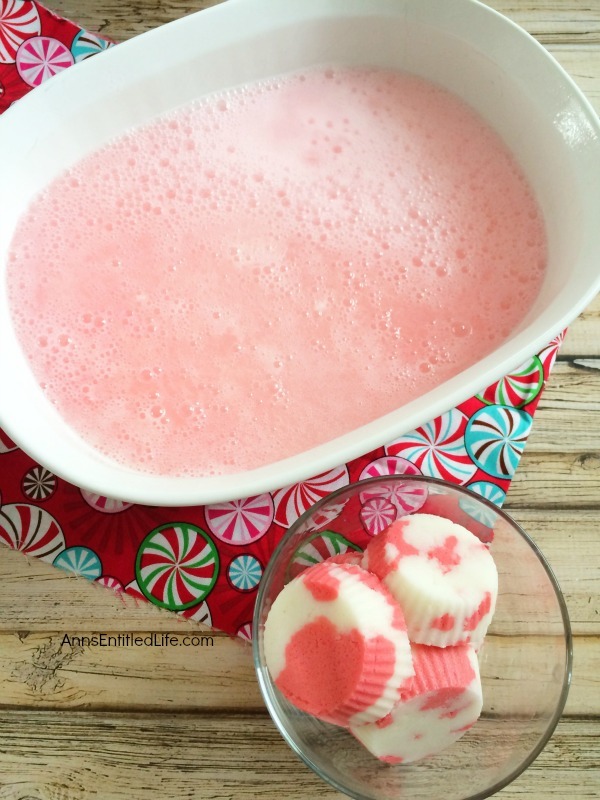 • Start filling your silicone cupcake molds with your shower bomb mixture, using a combination of red and white peppermint mixtures. 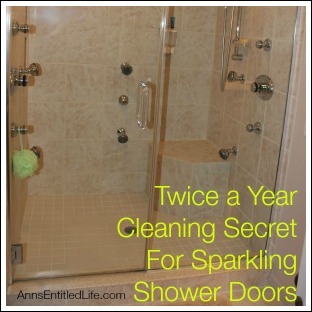 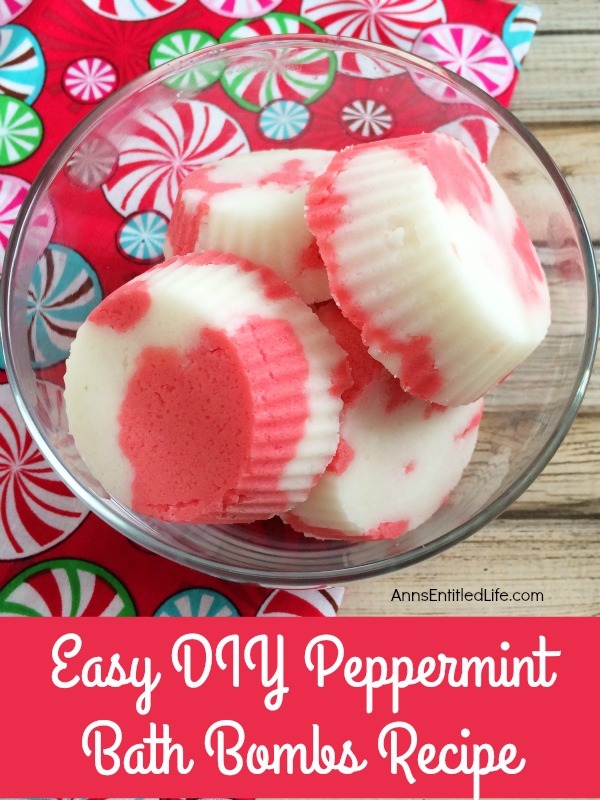 • Let dry for approximately 12 hours then turn your mold upside down and carefully pop out your peppermint bath bombs. 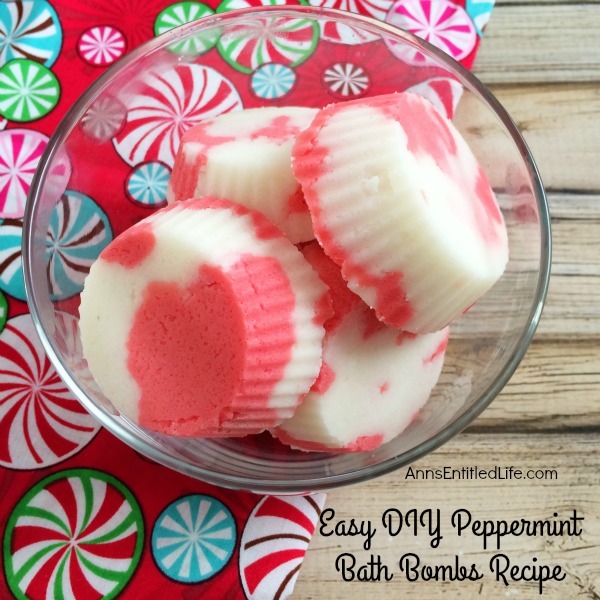 • To use your peppermint bath bombs, place one in the bottom of your shower or in your warm bath tub to release your bath bomb. 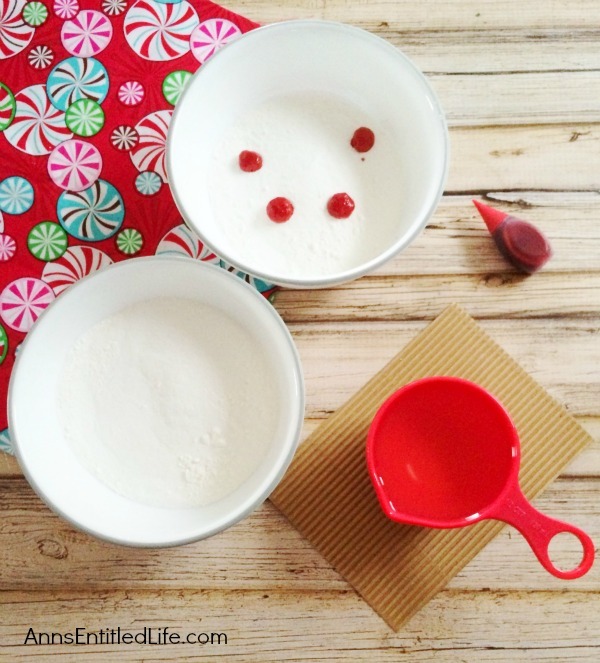 • Separate your mixture, placing half into two separate bowls. 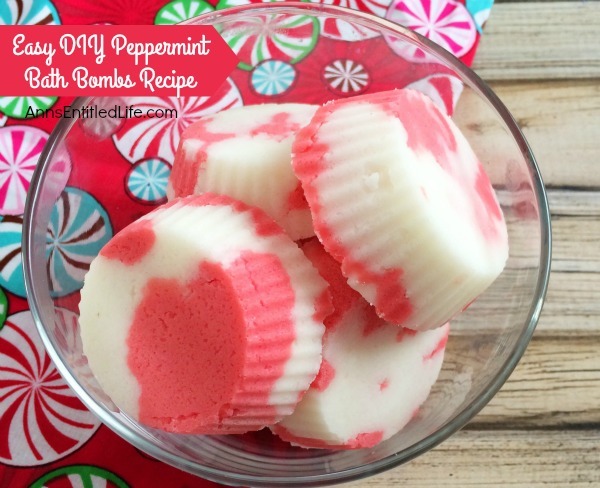 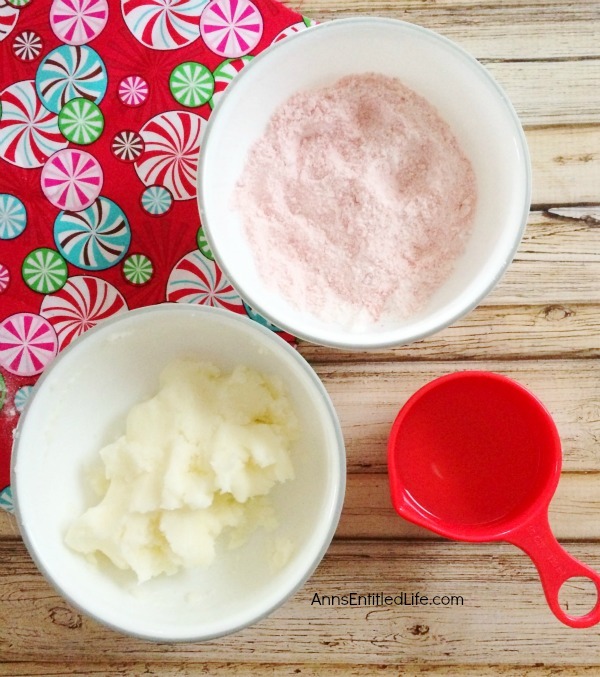 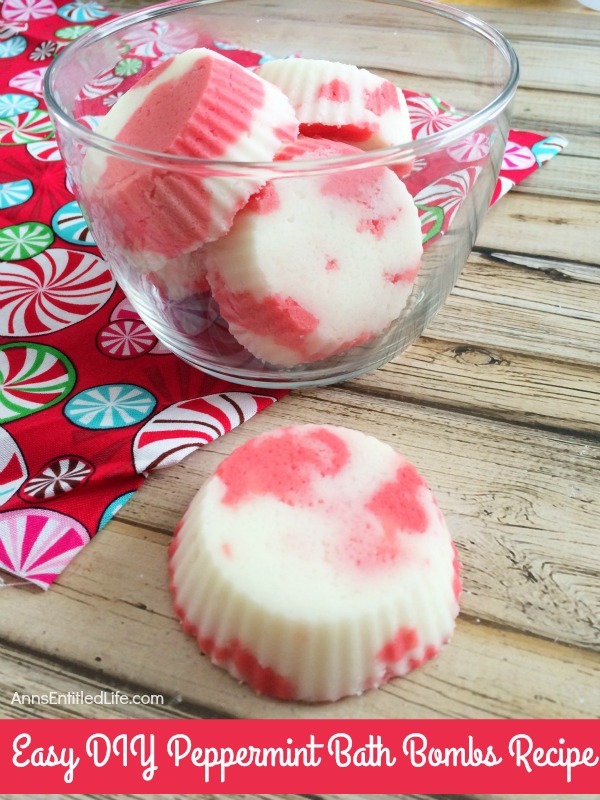 • To print the Easy DIY Peppermint Bath Bombs Recipe Instructions, click here.